See Ear infections in detail for more information. 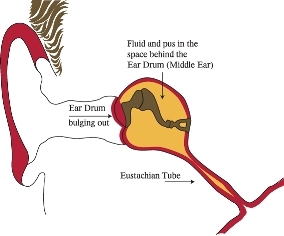 Occasionally, the ear drum will burst and pus will come out of the ear. See your family doctor if this happens. This page last reviewed 17 September 2018.